ALBANY, N.Y. (CNS) — A proposed abortion law for New York state that would allow more health practitioners to provide abortion and remove all state restrictions on late-term abortions “is not progress” as lawmakers argue, said New York’s Catholic bishops. They said “words are insufficient to describe the profound sadness we feel at the contemplated passage” of the measure. “We mourn the unborn infants who will lose their lives, and the many mothers and fathers who will suffer remorse and heartbreak as a result,” they said. The Albany-based New York State Catholic Conference, which is the public policy arm of the bishops, released the statement on behalf of: Cardinal Timothy M. Dolan of New York; Bishop Edward B. Scharfenberger of Albany; Bishop Nicholas DiMarzio of Brooklyn; Bishop Richard J. Malone of Buffalo; Bishop Terry R. LaValley of Ogdensburg; Bishop Salvatore R. Matano of Rochester; Bishop John O. Barres of Rockville Centre; Bishop Robert J. Cunningham of Syracuse; and the state’s auxiliary and retired bishops. Introduced in the Legislature the week of Jan. 7, the Reproductive Health Act, or RHA, is known as S. 240 in the state Senate and A. 21 in the state Assembly. It is expected to pass within the first 30 days of the legislative session, as promised by Cuomo. “The Assembly is overwhelmingly Democrat, and the governor is the one who has been proposing it. (Senate Democrats) ran on this and were swept into office, so they’re not going to not pass it,” he told The Evangelist, Albany’s diocesan newspaper, in a recent interview. The bill refers to abortion as a “fundamental human right,” which is cause for concern, said Kathleen Gallagher, director of pro-life activities and the Catholic Action Network for the conference. She argues that because of the bill’s strong language, the measure could be used to block religious organizations from advocating for life, or prevent doctors from abstaining from performing abortions on religious or moral grounds. “It foresees a time in New York where it’s a crime to be pro-life,” she told The Evangelist. 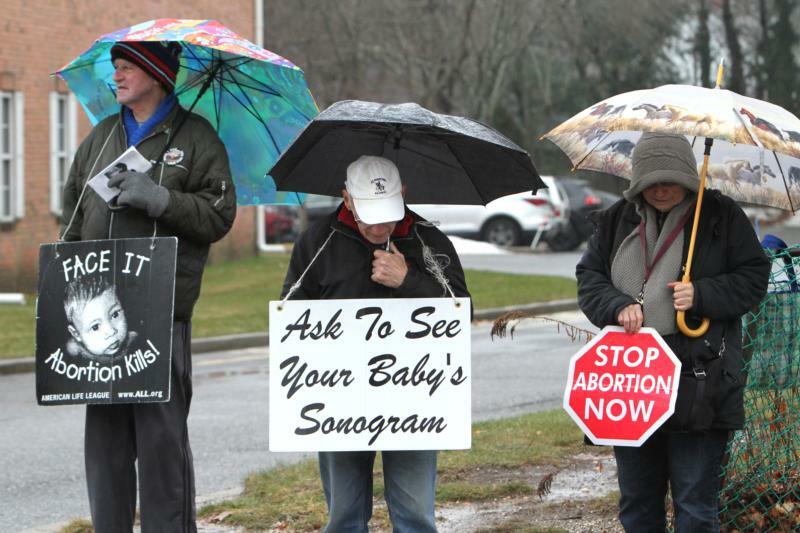 Renee Morgiewicz, coordinator of Respect Life Ministry and parish services and for the Albany Diocese, echoed that concern. “‘A fundamental right’ is a right that could supersede everything, even the right of conscience and religious freedom,” she said. The Reproductive Health Act also would repeal both the current state requirement that only a licensed physician can perform an abortion and the current law that states third-trimester abortions can only be performed in cases where the mother’s life is in danger. Physicians and other health care practitioners in neighboring states that still hold strict laws on late-term abortions, such as Pennsylvania, could see this bill as “a green light” to come to the state for work, added Gallagher.